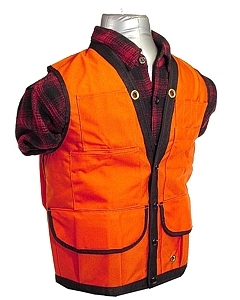 Constructed of high-visibility orange 100% Poly-Pro fabric, this durable vest features two deep, lower front pockets for holding tapes, clinos, or compasses and one upper left front pocket with five dividers for pens, pencils or rulers. 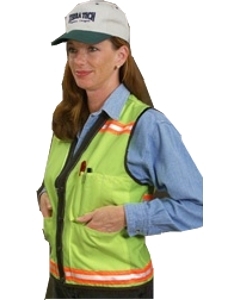 The reflective tape around the waist and across the shoulders helps ensure your safety. 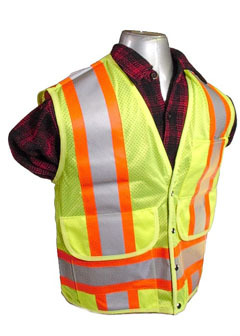 Also available in hi-beam green, and sizes through 5x.